"Hussein Pointed to Iranian Threat"
"Saddam denied al Qaeda ties till the end"
"FBI says Saddam's weapons bluff aimed at Iran"
"FBI Releases Details of 2004 Talks with Saddam Hussein"
"FBI releases summaries of interviews with Saddam Hussein"
"Former Iraqi leader Saddam Hussein bluffed about WMDs fearing Iranian arsenal, secret FBI files show"
Washington, D.C., July 1, 2009 - FBI special agents carried out 20 formal interviews and at least 5 "casual conversations" with former Iraqi dictator Saddam Hussein after his capture by U.S. troops in December 2003, according to secret FBI reports released as the result of Freedom of Information Act requests by the National Security Archive and posted today on the Web at www.nsarchive.org. 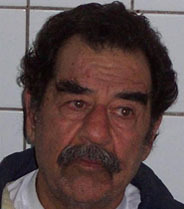 Saddam denied any connections to the "zealot" Osama bin Laden, cited North Korea as his most likely ally in a crunch, and shared President George W. Bush's hostility towards the "fanatic" Iranian mullahs, according to the FBI records of conversations from February through June 2004 between Saddam and Arabic-speaking agents in his detention cell at Baghdad International Airport. The former Iraqi leader, when asked about his accomplishments, listed social progress for the people of Iraq, a temporary truce with the Kurds in the early 1970s, the nationalization of Iraq’s oil in 1972, support for the Arab side during the 1973 Middle East war with Israel, and after that, for the remaining 30 years of his rule, simple survival – through a devastating eight year war with Iran that he had launched, and a 12-year sanctions regime imposed on his people after another war that he began. During the interviews he repeatedly contests FBI evidence and the neutrality of his interlocutors – which one of them finds ironic, given the record of peremptory Iraqi justice under Saddam’s governance. He selectively outlines recent Iraqi history and acknowledges some mistakes, including the destruction without U.N. supervision or verification of some of Iraq’s WMD arsenal left over from the 1980s. Saddam’s historical recollections include his ascendancy within the Ba’athist party in 1968 and 1969; his disappointment after the Iran-Iraq war with Arab governments for their lack of gratitude for Iraq’s “saving all of the Arab world” from occupation by Iran; details about the 1991 Persian Gulf war; and the post-war Shi’a uprising in Iraq’s south, which he characterizes as “treachery” instigated by Iran. Not included in these FBI reports are issues of particular interest to students of Iraq’s complicated relationship with the U.S. – the reported role of the CIA in facilitating the Ba’ath party’s rise to power, the uneasy alliance forged between Iraq and the U.S. during the Iran-Iraq war, and the precise nature of U.S. views regarding Iraq’s chemical weapons policy during that conflict, given its contemporaneous knowledge of their repeated use against Iranians and the Kurds. This series of interviews also does not address chemical warfare in Kurdish areas of Iraq in 1987-1988, although an FBI progress report says Saddam was questioned on the topic. 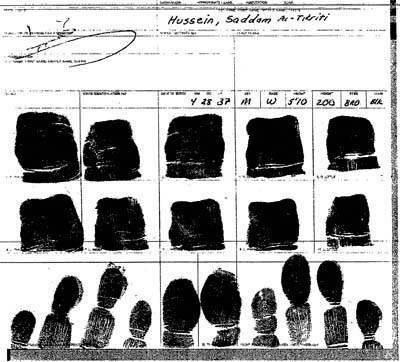 One interview, #20, is redacted in its entirety on national security grounds, although it is not clear what issues agents could have discussed with Saddam that cannot now be disclosed to the public. The interviews and conversations were led by George L. Piro, one of an exceedingly small number of FBI agents who spoke Arabic. 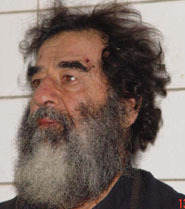 The agency expected that Saddam would feel rapport with Piro and develop a sense of dependency. During the interviews Piro hears Saddam out but is often openly skeptical of the former leader’s recollections. The agent does, however, assert with confidence that the U.S. side had information that Iraq was maintaining or developing a WMD capability and cites “evidence” of continuing contact between Iran and al-Qaeda, seemingly implying an operational relationship. One of the last interviews in the series ends on a valedictory note, after Piro listens to a poem that Saddam had written. The former president of Iraq is “done,” Piro says, “his life is nearing its end,” and other detainees are blaming him for all of Iraq’s many mistakes. Saddam is fatalistic and acknowledges reality. His interviews with Piro ended soon thereafter, and on December 30, 2006, he was hanged, amid the taunts of the political enemies who carried out his execution.